Bobby Ray says goodbye to his early image that he introduced himself to fans with fans and embraces his new found love for the money. 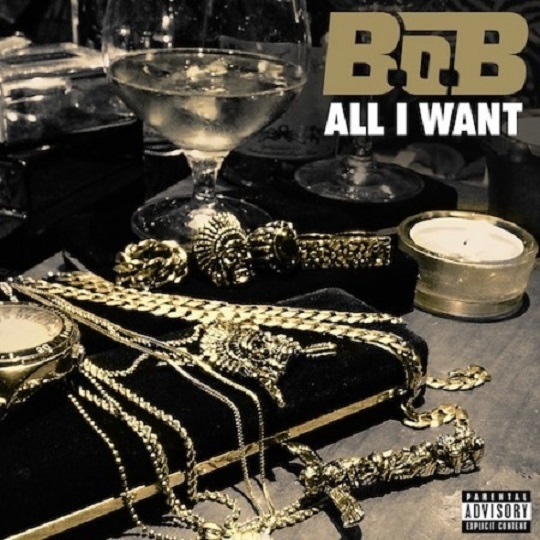 Take a listen to B.o.B.’s latest offering with “All I Want” which is set to be featured on his forthcoming Underground Luxury LP. Over a smooth and melodic instrumental, the Grand Hustle artist drops some catchy bars about women, fame and living the the good life. This entry was posted in Audio and tagged all I want, b.o.b., bobby ray, grand hustle, hip hop, hustle gang, rap, underground luxury. Bookmark the permalink.